Hicof is the innovative and dynamic technology leader in the serialization/ Track & Trace industry. We offer turn-key solutions combining our own serial data management software with industrial production lines for coding of packs and aggregation of serialized packaging hierarchies. For the customer this means: One solution – One supplier – One responsibility. We operate on a global base with a focus on the pharmaceutical industry. Hicof offers a wide range of patented tools to protect the supply chain against illicit activities like counterfeiting and grey-market activities. 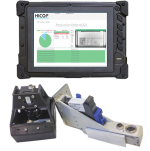 For retrofitting existing coding lines, upgrading existing case packers and for tailor innovative, mobile device-based system in the supply chain, Hicof offers a full range of printers, own IP 67 protected, ISO 15415 compliant cameras, computers and software. 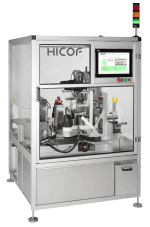 Hicof offers high quality equipment for Coding and Aggregation in the pharmaceutical environment. The software infrastructure is the backbone of every serialization/Track & Trace system. It supports the related business processes, controls coding and aggregation lines and exchange serial data with business partners and governments.